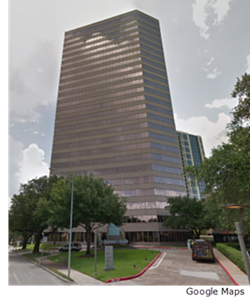 ​​​ HOUSTON – Sage Plaza, a 25-story building with 531,000 sf, has two new tenants. Insgroup Inc. leased 43,296 sf and was represented by JLL. Legal Access Holding Company LLC leased 19,816 sf and was represented by Colliers International. The building is adjacent to restaurants and retail, and can currently accommodate tenants ranging from 2,000 to 100,000 sf. Sage Plaza is located at 5151 San Felipe at Sage Road in Houston’s Galleria submarket. ​​More? Houston-The Woodlands-Sugar Land Office Market Research with 4Q 2017 data.